Dell today announced the new Inspiron 13z and Inspiron 14z laptops, extending the company’s emphasis on thin and powerful computing, and broadening the ultra-mobile “z” distinction to Inspiron, Dell’s best-selling Consumer laptop brand. The new Inspiron 13z and 14z combine sizzling performance, rich features, and chic design in a sleek, take anywhere laptop, whether it’s for taking notes in class, or communicating with family across the country. No matter the application, the new Inspiron z laptops are packed with some of the latest technology, and can handle the task. Combining 2nd generation Intel® CoreTM i3 and Core i5 processor options, HD (720p) display, and excellent battery life, the Inspiron z series is ideal for school papers, company reports, mobile entertainment, keeping in touch with friends and pursuing your passions. The Inspiron 13z and 14z are the latest in a series of rolling introductions of Dell’s thin and powerful mobile products launching through the end of the year. Beginning with the XPS 15z, an ultimate blend of performance and style, the Inspiron z series makes this “uncompromising” concept more accessible than ever, with prices starting at just $599.99 for the 14z. Visit Dell.com to read product reviews and get more information about the new Inspiron z series, and browse the latest technology, whether for school, play, or work. When it's time to kick back and relax, the Inspiron z laptops are the perfect portable entertainment devices. Both the 13z and 14z feature brilliant high-definition displays and built-in SRS Premium Sound HD. For a theater-like experience, they can stream full HD movies and video wirelessly with Intel Wireless Display technology or by connecting via HDMI cable to a compatible big-screen HDTV. All of this is packed into a stylish design that’s thin, lightweight, and is available in standard Diamond Black or optional Fire Red LCD back and matching palmrest, full-size chiclet-style keyboard and HD webcam. Inspiron z models are available with blazing fast 2nd generation Intel Core i processors, Microsoft ® Windows 7 operating system, and high-performance on-processor graphics allowing for long battery life. A built-in media card reader, Wi-Fi, Bluetooth 3.0 and the newest USB 3.0 technology for faster content transfers are also available as standard. The Inspiron 13z comes with a bright, 13.3-inch widescreen HD (1366-768dpi) display. Other optional features include up to 8GB of memory, a choice of a 320GB or 500GB hard drive or 128GB of solid state storage. The Inspiron 14z is equipped with a 14-inch widescreen HD (1366-768dpi) display, and optional features including up to 8GB memory, choice of a 500GB, 640GB or 750GB hard drive, along with an internal tray-load DVD combo for playing and recording DVDs/CDs. Dell Inspiron laptops also come with the Dell Stage user interface, which offers one-click access to your favorite content including music, photos and video, and SyncUP powered by Nero can keep content and personal information synched with other Stage-enabled Dell PCs and mobile devices within your home Wi-Fi network. 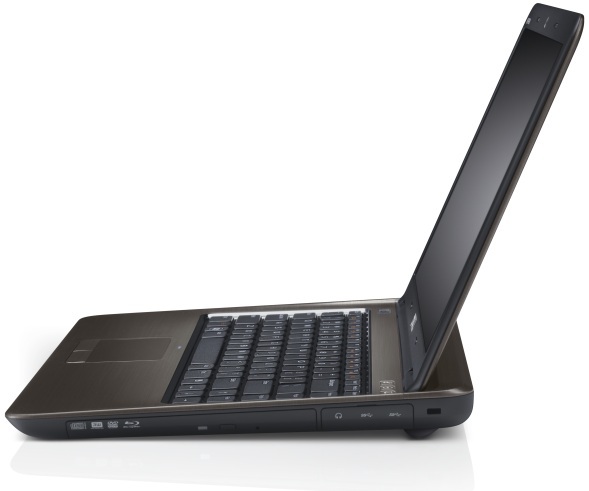 The Inspiron 14z is available beginning today on www.dell.com for $599.99 and in select geographic regions worldwide. The Inspiron 13z is launching today in select countries in Asia.